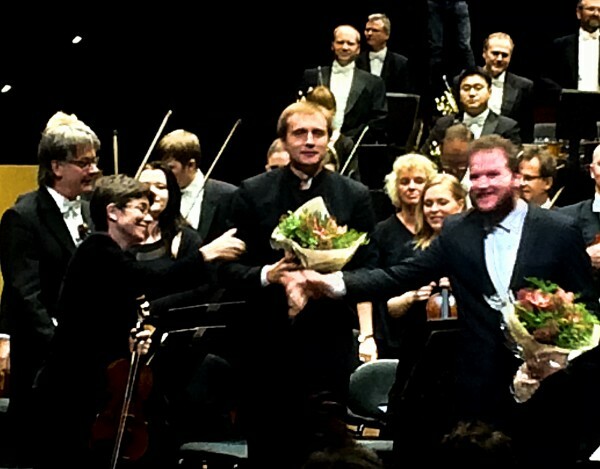 From right: Lukas Vondracek (piano soloist), Vasily Petrenko (conductor), og Elise Båtnes (konsertmester). Foto Tomas Bagackas. OSLO/NORWAY: With Lukáš Vondráček as piano solist in Rachmaninoffs Pianocncerto no 3 d-min op 30 together with Oslo Philharmonic Orchestra led by Vasily Petrenko, the audience experienced a piano firework, that is seldom heard. Still a firework in the parts where that is appreciated, we didn’t loose the melody line, which during the way was deliciously underlined by several soloists in the orchestra, flute, horn, fagot, we too got the romantic, pianissimo, feeling full details, which also is included in this concerto, and in the third act extraordinary well prepared staccato hag details from all the strings, which underlined the piano main line. 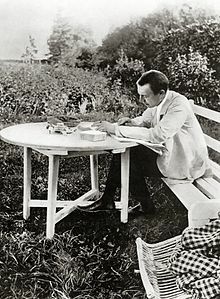 A very impressive concert with an excellent orchestra and soloist..
Rachmaninoff composed the concerto in the peaceful setting of his family’s country estate, Ivanovka, completing it on September 23, 1909. Contemporary with this work are his First Piano Sonata and his tone poem The Isle of the Dead. The concerto is respected, even feared, by many pianists. Josef Hofmann, the pianist to whom the work is dedicated, never publicly performed it, saying that it “wasn’t for” him. Gary Graffman lamented he had not learned this concerto as a student, when he was “still too young to know fear”. Due to time constraints, Rachmaninoff could not practice the piece while in Russia. Instead, he practiced it on a silent keyboard that he brought with him while en route to the United States. The concerto was first performed on Sunday afternoon, November 28, 1909 by Rachmaninoff himself with the now-defunct New York Symphony Society with Walter Damrosch conducting, at the New Theater (later rechristened the Century Theater). It received a second performance under Gustav Mahler on January 16, 1910, an “experience Rachmaninoff treasured.” Rachmaninoff later described the rehearsal to Riesemann: (ref Wikipedia). Also an interesting way to celebrate the 100 years jubilee for the 1917 revolution in Russia.